Costa Celebration Headed For The Bahamas – Other Cruise News: Sterling Cruise Lines From Aruba – Just Two European Cruise Ship Builders? Three weeks ago Costa Cruises abruptly pulled the Costa Celebration from joining the Costa fleet, according to some sources for an immediate sale. Now, it seems clearer that the intention was to send her to the Bahamas as a substitute for the damaged Bahamas Celebration on the Palm Beach-Freeport route. Meanwhile, Clipper’s Gemini will soon leave her accommodation ship role in the Shetlands to go back into full time cruising for the first time since 2011, with start-up company Sterling Cruise Lines. Finally, do rumours that Fincantieri would like to acquire STX France mean that there will be only two European cruise ship builders by next year instead of the four we had in the past? Three weeks ago, we reported that Costa Cruises was cancelling a program of cruises for its 1,494-berth Costa Celebration that was due to start on November 29. The ship had only just come off drydock in Marseilles from her transfer from Spanish subsidiary Iberocruceros, where she had operated as Grand Celebration. Passengers who had been booked were transferred to one of the fifteen other ships in the Costa fleet or refunded. 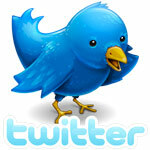 Now we have the latest news. Costa Celebration left Genoa on December 5 and after a brief call at Tenerife on December 9, is due at Freeport around 2 pm on Thursday. Although no formal confirmation has been made by Costa, the only possible reason for her going to Freeport would be to stand in for Celebration Cruise Line’s 1,004-berth Bahamas Celebration, which normally offers 2-night cruises between Palm Beach and Freeport. Bahamas Celebration was damaged when she hit an underwater object just after leaving Freeport for Palm Beach on October 31. The next day the Miami-Bimini ferry Superfast Bimini left Bimini for Freeport to pick up the Bahamas Celebration’s passengers and sailed back to Miami by way of Bimini, picking up her own passengers en route. The Costa Celebration’s date of arrival at Freeport, December 18, conforms to the Bahamas Celebration’s original schedule and it is likely that she will not stand in for the smaller ship for the duration of the winter high season for travel to the Bahamas. After her surprise Palm Beach-Freeport season, Costa Celebration is scheduled to return to the Mediterranean, where in April she will take up her originally intended program of 7-night one-way cruises between Venice and Istanbul through the Adriatic and Aegean. With calls at Split, Corfu, Santorini and Piraeus in one direction and Mykonos, Santorini, Kefalonia and Dubrovnik in the other, round voyages of 14 nights will also be available but in fact this is the same route she had previously operated for Iberocruceros as Grand Celebration this year. The Bahamas Celebration, the former Color Line cruise ferry Prinsesse Ragnhild, is now undergoing repairs at Freeport. The principals of Celebration Cruise Line previously operated Imperial Majesty Cruise Line, which operated the 905-berth Regal Express in a similar operation between Port Everglades and Nassau until 2009. While the Bahamas Celebration initially operated on the Nassau route as well, she switched to the Palm Beach-Freeport route in 2010. Bahamas Celebration is managed by Fleetpro Ocean of Miami. Celebration brings between 3,500 and 4,000 cruise passengers to Freeport on Grand Bahama Island every week, and as well as her 2-night mini-cruises offers 4- and 6-night cruise and stay vacations in conjunction with five resort hotels in Freeport. Sterling Cruise Lines LLC first filed as a Florida limited liability company back in September 2010. Showing the time it can take for a start-ip operation to get organised, Sterling has now announced that it will begin year-round cruise service from Aruba on May 1, 2015, almost five years after its formation. The new line, to be based in Miami, is intended to serve the Latin American short cruise market with visa-free cruises by leaving from non-US ports, thus averting the need to obtain the usual visa that is required if they leave from the USA. Sterling will offer 3-, 4- and 7-night cruises, using the 900-berth cruise ship Gemini, owned by Clipper Group and managed by Fleetpro Ocean of Miami. 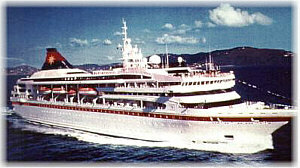 The Gemini began life in 1992 as the Crown Jewel for the short-lived Crown Cruise Lines and operated as Star Cruises’ Superstar Gemini, first of the name, between 1995 and 2009. Then, as Gemini, she operated for the short-lived Spanish Vision Cruises then Quail Cruises before going into lay-up at Tilbury in 2011. The Gemini was used as an accommodation ship at the London Olympics in 2012 and since July 2014 has been used to house 600 Shetland gas plant workers in Lerwick, working on completion of the new £800 million Sullum Voe gas plant for France’s Total Group. She is now at Scalloway, berthed near the accommodation barge Bibby Challenge, which provides housing for another 300 oil workers for BP. 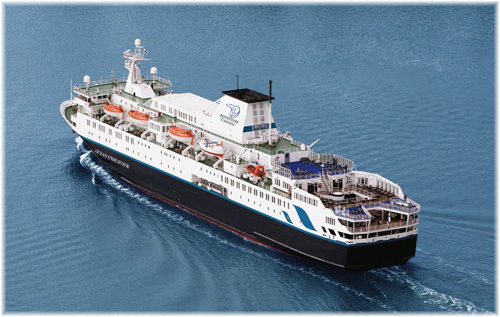 Lerwick and Scalloway have seen several accommodation ships recently, with the Baltic ferry Regina Britannica being used to house another 300 workers, as well as the 193-cabin Ocean Endeavour, which will leave in the spring to operate for Adventure Canada before moving to Quark Expeditions in the 2015-16 winter season in the Antarctic. Sterling Cruise Lines have announced that the Gemini’s 3-night sailings will call at Curacao while the 4-night cruises call at Curacao and Bonaire. The combined 7-night cruises will thus cover all three of the Netherlands Antilles so-called ABC islands. Alternating 7-night itineraries will also feature Dominica, Barbados, Tobago and Bonaire, or Grenada, St Lucia, Bequia and Curacao, with the 7-night cruises being combinable into 14-night cruises. While the new line will be headquartered in Miami but will have sub-offices and call centres located in Latin America, where it is intended to serve Colombia, Peru, Chile, Ecuador, Argentina, Brazil and Mexico. President of the new cruise line, Joshua Schwartz, has been in the travel business since 1982. Vice President, Colombian national Martin Salzedo, started with Carnival Cruise Lines in 1972 and after a stint at Paquet Cruises, headed up Discovery Cruise Line from 1987 to 1998 before moving to Imperial Majesty Cruise Line and later Celebration Cruise Lines. Just Two European Cruise Ship Builders? Until Korea’s STX acquired the Turku shipyard from the Aker group and the St Nazaire yard from Alstom, there were four major cruise ship builders in Europe, located geographically in Finland (Aker), Germany (Meyer Werft), France (Alstom) and Italy (Fincantieri). The STX acquisitions of Aker Yard and Chantiers then reduced that number to three. Now, with the news that Fincantieri is interested in securing the two-thirds interest in STX France that is not held by the French Government, that number could come down to just two. STX’s problems in dealing with the French over job guarantees and new labour terms seem already to have pushed away two options that had been placed by MSC Cruises, with Fincantieri seemingly the potential winner of two more orders for its “Seaside” class ships instead of the originally-intended options from STX France. 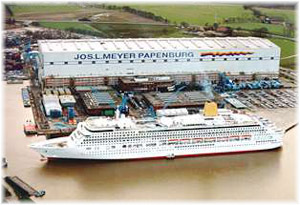 However, while European competition authorities allowed the merger of Meyer Werft and STX’s Turku shipyard in Finland, there is some doubt over whether it would approve a further consolidation that would see the cruise ship building business dominated almost entirely by just Fincantieri and Meyer Werft. The French Government has also stated publicly that it is not interested in letting the yard go to another cruise ship builder, so we can probably expect other buyers to be sought.